At least 30 people have been wounded after a train crashed into a truck crossing a railroad in northern Iran, a provincial official says. Speaking to IRNA, Zakaria Ashkpoor said the crash took place in a rural area near the city of Galugah in Mazandaran province on Friday morning. “Thirty passengers of the train were injured in this incident and were transferred to hospitals in Behshahr and Galugah,” he added. Meanwhile, the director of the country’s regional railway, Yusef Geranpasha, told ISNA that 150 passengers were on board the train at the time of the incident, and that most of the wounded received outpatient treatment. 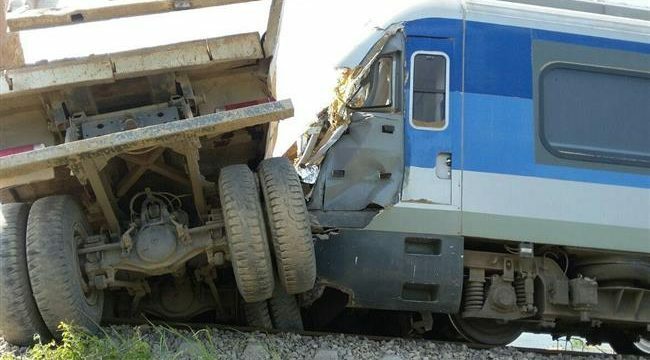 The truck was moving at a high speed on an unauthorized road while the driver was talking on his cell phone unaware of the train, Geranpasha added. Iranian traffic police officials say reckless driving, including speeding, is to blame for most of the road accidents in Iran.